Pixelache | HELP KEEP BRIDGES SINGING. 10 YEARS ANNIVERSARY. News : HELP KEEP BRIDGES SINGING. 10 YEARS ANNIVERSARY. Singing Bridges by Jodi Rose is an urban sonic sculpture on a global scale, making music with the sound of bridges. 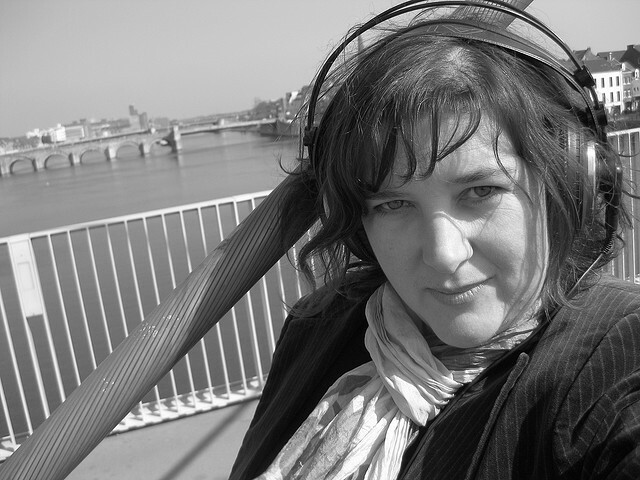 Placing contact microphones directly on the cables, she records and composes with the sound from inside the bridge, listening to the voice of the structure as wind, traffic and tension create vibrations. Listen to more cable-stay and suspension bridge sounds here. April 2012 is the tenth anniversary of Jodi's first trip to record stay-cabled bridges worldwide. She's celebrating with a brand new work giving a sculptural dimension to this incredible archive of bridge recordings. The Singing Bridge Sculpture is the first in a series of bridge designs, interrelated compositions and visual works that transmit and pay tribute to the wonderful and unexpectedly rich world of bridge sounds. Now is your chance to support Singing Bridges, own a design prototype or other cool stuff!